Claire visits Lallybroch and Culloden Moor to make peace with the past, while Brianna and Roger bond over researching Randall family history. 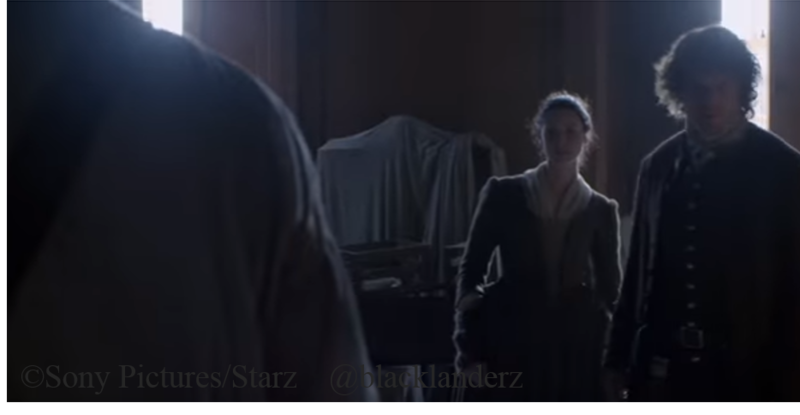 Jamie and Claire come up with a dangerous plan, which Dougal overhears, inciting him to a murderous rage. Jamie must do everything he can to save the ones he loves, even if it means saying goodbye to some — or all — of them. The whole thing with insects or objects getting petrified in amber is they’re getting locked in time and time is unchanging. Whether or not that’s a provocation of maybe the storyline in book two because here you have the central characters trying to change time and I guess it’s whether or not that is a possibility. 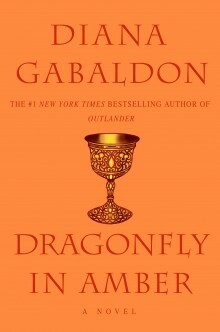 Maybe the image or the symbol of a dragonfly in amber is a clue, or maybe it’s an argument. It’s such a fragile thing, a dragonfly, as well. In fact, it is yet frozen in time and it can go through time. You find these fossils from hundreds, thousands of years old and I think that’s exactly what it is — it passes through time, not changing — and I think that’s quite interesting. The dragonfly that you get, I think that comes back, doesn’t it. In quite a powerful way. It’s to be played. Well Clan, this is it! The last one and most of us know what’s coming. Even those who haven’t read the book have some idea too. It is sad that this is the last episode. Where the hell did the time go? It is not like this title needs too much analysis, but I didn’t want to end the season without doing this one too. So here goes . . .
As most already know, Dragonfly in Amber is the title of Diana’s second book. 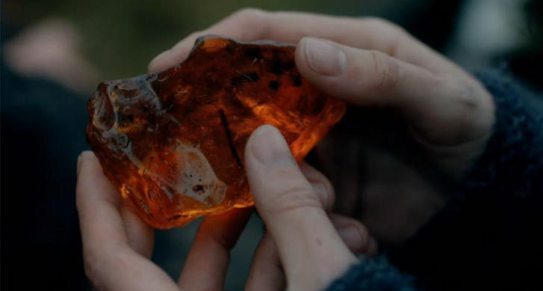 It also refers to the dragonfly in amber gift Hugh Munro gave Claire as a wedding present in S1. To me, just as the actors said, it represents something trapped, preserved in time. Any analysis of this title leads, of course, back to Jamie. So, there’s really nothing else to say, but . . . He had been fixed in my memory for so long, glowing but static, like an insect frozen in amber. 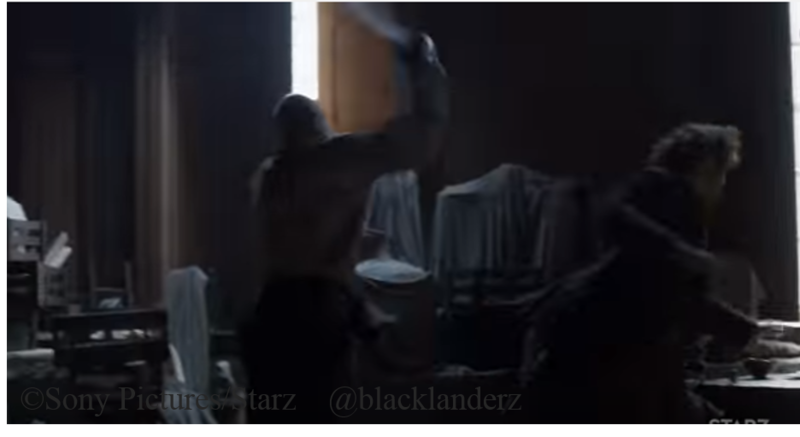 We’ve been waiting for this battle the entire Season and in this episode, Jamie tells Claire, the battle will happen . 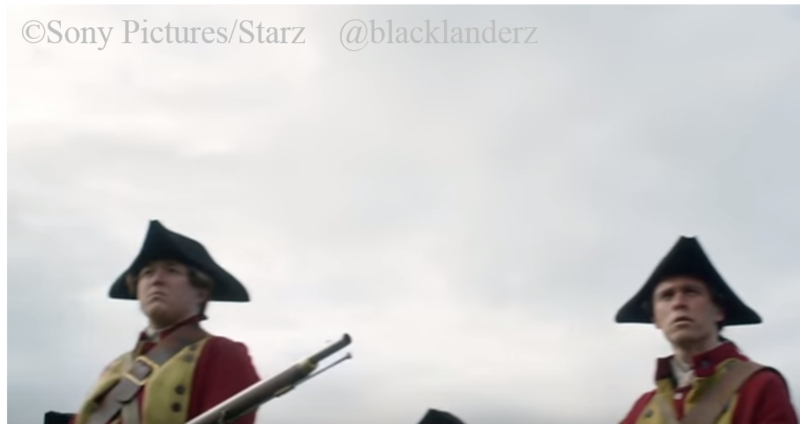 . .
By the time we get to Culloden by the end of the season, enough of history has swept them along that [Claire’s] become kind of fatalistic about it, the fact that the odds of them surviving this are getting less and less by the day. But at that point, it’s the only hand she has to play, so she has to play it until the final card and see if there’s any way they can still pull it off. It is all good fun, and we’re having a great time doing it, but you have to remember that you’re respecting a group of people that were real and that this really happened. So, yes, it’s very alive for us particularly, because we’re doing this. 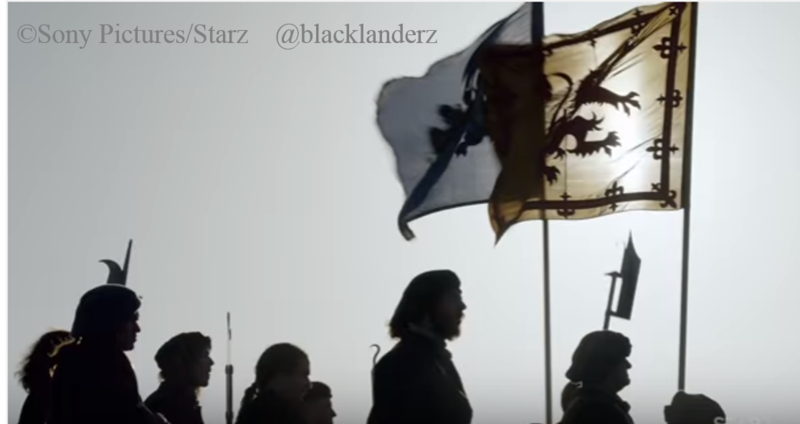 You want to make sure, for [the Clanranald extras] as well, that you’re treating it with respect and you have a responsibility to the memory that those people went through. 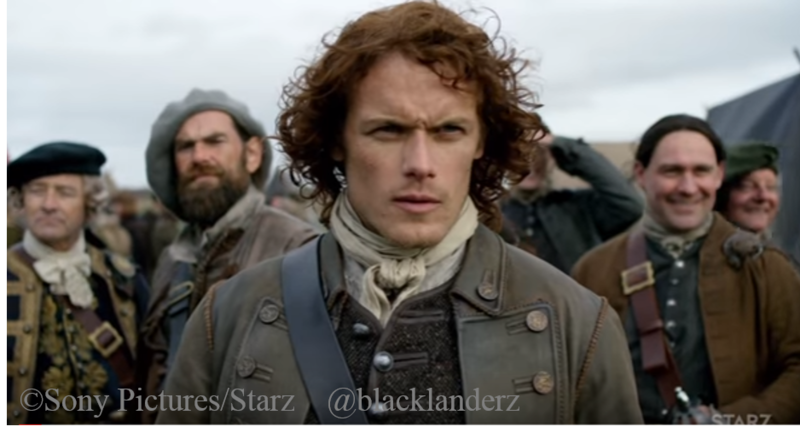 Jamie and Dougal have a confrontation where Dougal calls Jamie a traitor. Ultimately the show has always been about relationships. Not only is that the climax of history, but it’s also the climax of the relationships that are happening at the time. It’s all doomed, and we can’t stop history from happening. [Season 2] certainly has a climax. [Showrunner Ron Moore] has also got some surprises. 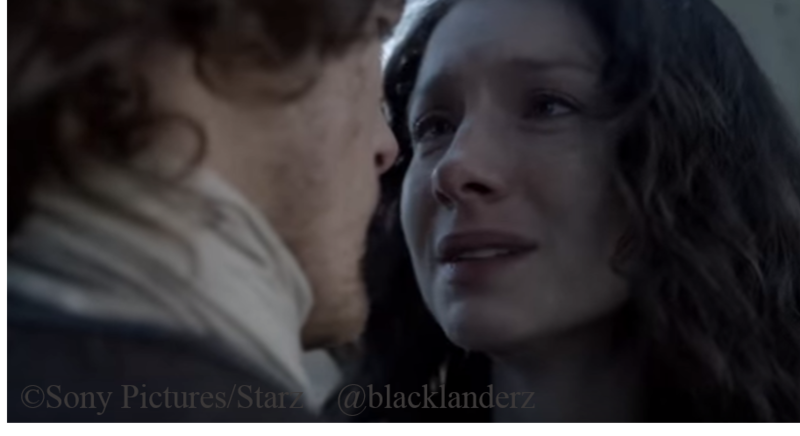 With the battle near, there is no way Jamie is going to let Claire stay there and possibly be injured or killed. So, he wants her to go back through the stones, back to her time and . . . Frank. 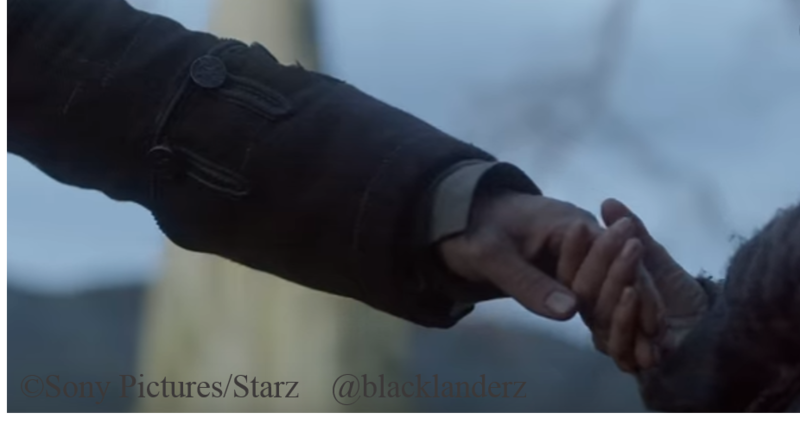 But after all that has happened, to include Claire and Jamie being deeply in love (down to the bone), how can she go back? 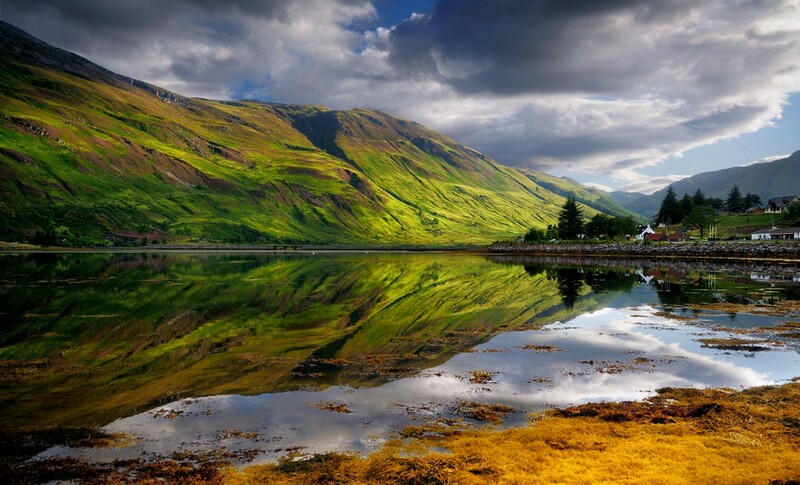 Yes, we love Outlander and you too! Since that is where the US preview left off with only revealing the second part of the synopsis, so too shall I. Caitriona’s face is what all of ours will look like after this airs. With a 90-minute finale, I just hope I can control myself and not lose my mind! Remember, Ron said there would be surprises even for the book readers.